Do you dream of feeling the Moroccan trade winds caress your face as you are kissed by the warmth of the sun? Then let these Moroccan inspired earrings take you there. And best of all, they are ready to ship. Let your heart skip a beat as the sun glistens off the stunning, expertly-crafted, hammered copper discs. Gorgeous Golden Aqua Quartz gemstones capture hues of gold and bronze as they dangle and play beneath the sun of copper. Pure copper French hook ear wires have been added to increase the amount of motion these earrings have. 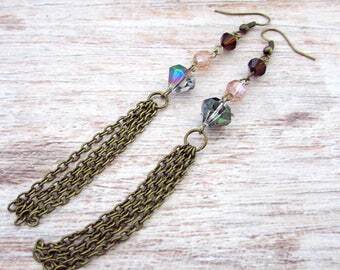 These earrings measure approximately 2 1/2 inches (6.35 cm) on length. The discs of these earrings measure approximately 1 inch (2.54 cm) across. 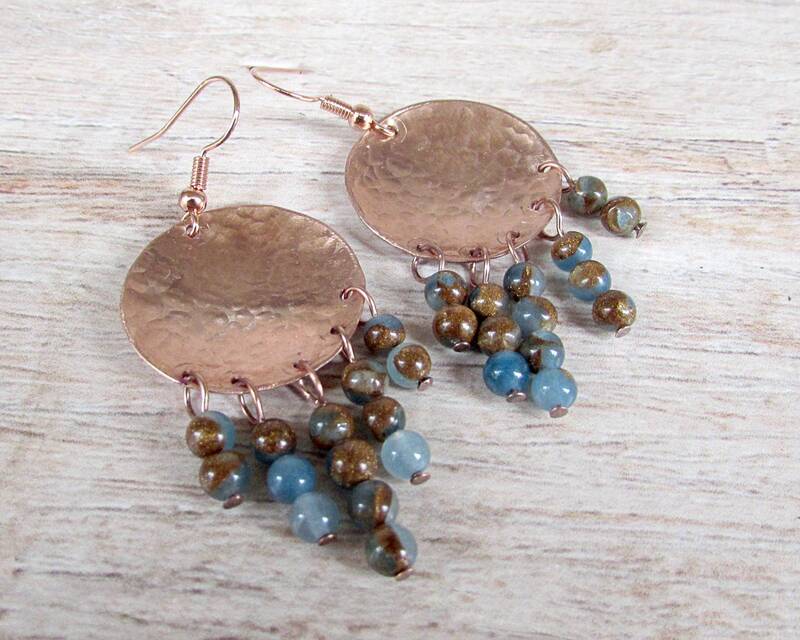 These copper earrings have been has been quadruple sealed using acrylic shellac to prevent tarnish. This process will only slow down the natural patina process of the copper. As copper ages, the color changes due to the natural oxidation process of the metal. It is in no way a flaw or defect. If this is an undesired change, simply strip the shellac off using an acetone based nail polish remover and polish the metal. Re-seal the metal using clear fingernail polish or other metal sealer.